This is a textbook for an introductory course on linear partial differential equations and initial/boundary value problems. 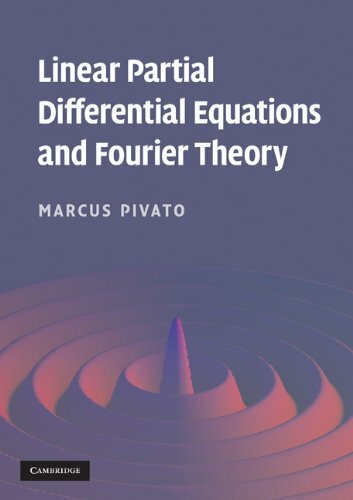 It also provides a mathematically rigorous introduction to basic Fourier analysis, which is the main tool used to solve linear PDEs in Cartesian coordinates. Finally, it introduces basic functional analysis. This is necessary to rigorously characterize the convergence of Fourier series, and also to discuss eigenfunctions for linear differential operators. In the theory of convergence and summability, emphasis is placed on the phenomenon of localization whenever such occurs, and in the present paper a certain aspect of this phenomenon will be studied for the problem of best approximation as well. An inside look at the techniques used and developed by the author. The book is based on a graduate course on Fourier analysis he taught at Caltech. It demonstrates how harmonic analysis can provide penetrating insights into deep aspects of analysis. Tutorial discussing some of the numerical aspects of practical harmonic analysis. Topics include Historical Background, Fourier Series and Integral Approximations, Convergence Improvement, Differentiation of Fourier Series and Sigma Factors, etc.